Female TDs and Senators have agreed to set up a caucus in the Houses of the Oireachtas. 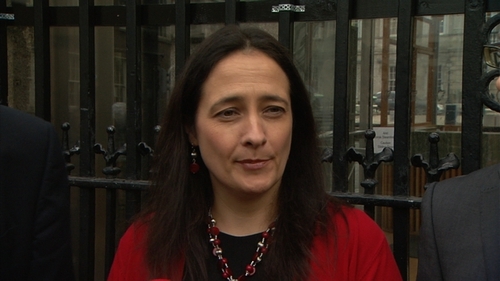 It comes following a meeting convened by the Deputy Leader of the Green Party Catherine Martin this afternoon. Ms Martin said the aim of the group is to find common ground and strengthen cross party links among women in the Oireachtas. The structure and the name of the committee will be "worked out" over the coming weeks. While all the women TDs and Senators were not at today's meeting, those in attendance agreed to the caucus. The AAA-PBP TD Ruth Coppinger chose not to attend because she said she did not agree with attending "a meeting which routinely inflicts on other women". At the moment, there are approximately 86 women's parliamentary groups or caucuses worldwide.